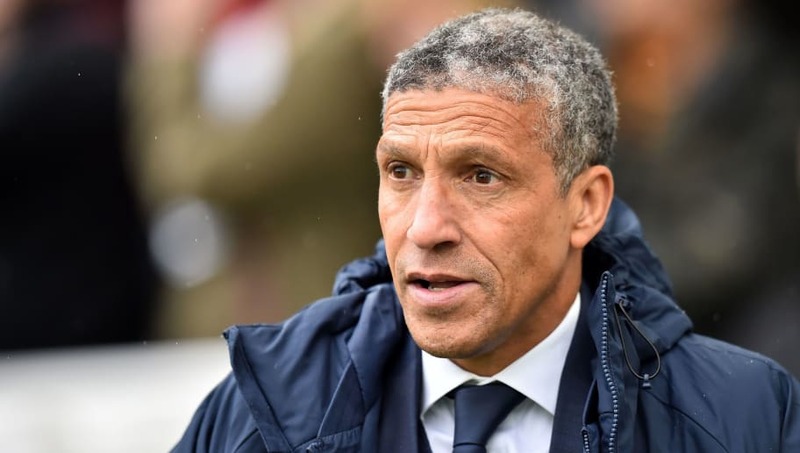 Brighton & Hove Albion manager Chris Hughton has admitted his side were well off the pace in their 5-0 defeat against Bournemouth on Saturday. The Seagulls looked impressive for the opening 30 minutes, but poetically just days after a black hole was pictured 55 million light years away, the hosts produced a self-imploding disaster of their own and went on to concede goals at will against Eddie Howe's side. Bournemouth's Ryan Fraser was the star of the show for their exciting attacking play, and Hughton admitted his side couldn't put up with the fight after being reduced to 10 men following Anthony Knockaert's red card. "We came up against a very dynamic Bournemouth side and we just couldn’t handle them," Hughton said, quoted by Brighton's official website. "They had the ability to pick us off in the areas that they needed to. "At least four of the goals they scored were from us giving away possession and them countering really well. We changed the shape a little bit, but once you go down to ten men it makes it even harder for you. "In the end, it was about keeping the score down as much as possible - the fear is that it could have been worse. "We don’t have a choice but to turn it around, and the character of the players will be important [against Cardiff City] come Tuesday night." Despite looking up for the fight in the opening exchanges, Dan Gosling's opening goal caused Brighton to hit the self destruct button. Fraser then scored a stunning long-range effort to be the game beyond sight, while David Brooks, Callum Wilson and Junior Stanislas put the icing on the cake for Bournemouth.